​"I'd love for my dog to stop nipping when she wants to play." When you first brought your dog home, you were thinking he'd be the perfect addition to your family. He'd be your new “best friend,” go everywhere with you, and provide hours of entertainment with relaxing walks and tossing a ball in the back yard. But things haven't turned out that way. • Walking your dog is stressful, if you even still take your dog for walks. • You're always worried about him pulling away from you, barking at another dog, or chasing squirrels. • You’re embarrassed every time your friends come over because your dog is jumping on them. • Non-stop barking rings endlessly in your head and drives you crazy, like nails on a chalkboard. You feel powerless to change the situation. You still love your dog, but sometimes you don’t like him very much. Imagine having a well behaved dog that makes you super proud. Your dog would be by your side everyday, your constant companion. • Walking with your dog would be peaceful, the highlight of your day. • Your friends would rave about how well behaved your dog is every time they come over. Your dog makes good choices about what to do so you don’t have to micro-manage him all day. You're bursting with pride. When you see someone struggling with their dog, you feel sorry for them and can barely remember when you walked in their shoes. Kim and Abby, a 2 year old Shih Tzu/Beagle mix who loves time spent with special needs kids reading to her at a local school. Hi there. 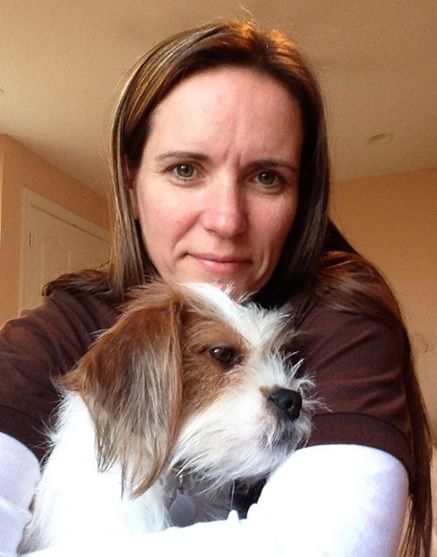 I’m Kim Greco, the owner of Paws and Possibilities, a full-service dog training company specializing in teaching dogs to have good manners, and creator of Manners Matter. There hasn’t been a day of my life I wasn’t training something. I started training horses when I was seven and by the time I was 18, I was ranked 3rd in the country with my horse, Harbor Bay, in the Small Junior Hunter Division. One of the highlights was competing in The National Horse Show at Madison Square Garden in NYC! I’m watching the Eagles play football and there’s an interception. I jump up off the couch screaming at the top of my lungs- you know what that’s like, right? Dirk, my border collie who is reactive to sudden noises, rushes forward. I remember what happened next like it was yesterday. Dirk lunged forward, heading straight for Lindsey, my 6 month old daughter, and all I heard was a loud pop. His jaws clamping closed. Because I had put up a baby gate, she was fine. Dirk had pushed his nose through the bars of the baby gate though, and it was so close to a disaster. I was freaking out! I couldn’t live like this. Dirk was obedient. He knew almost 50 commands and would always come when I called him. I had trained horses for 15 years and dolphins for 10 years, and I didn’t know what to do. I had trained 800 pound sea lions who sometimes tried to bite me and had never been as scared as I was that day in my family room. This was my daughter we were talking about. I thought I was going to have to find a new home for my dog, my best friend who I had rescued six years earlier. So what did I do? I studied and became an expert at behavior modification, and I solved my problem. I realized what I needed was to teach Dirk to have good manners in addition to his obedience commands. You may be struggling with you dog's problems like I had struggled, annoyed at everyday challenges you face in your own home. You have enough things in life to stress about. Your dog should alleviate stress, not add to it! I offer solutions for your problems. I can help. My goal is a world full of well-mannered dogs! I’ve helped over 1000 families create the relationship with their dog they have only dreamed about, and I want to share with you how easy it is to have a well-mannered dog. I want you to own a dog you are proud of, and not embarrassed by, and Manners Matter is the way to do it. ﻿Manners Matter will revolutionize the way you think about dog training. It’s possible to teach your dog to have good manners, and it’s easy! You'll learn how to communicate with your dog effectively and begin to redefine your relationship with him. In just minutes a day, you'll teach your dog to make good choices all by himself so you don’t have to keep telling him what to do, or not do, all the time. Manners Matter is the solution to your dog’s behavior problems. Want an inside look at what you’ll learn? What to do when your dog is doing something wrong. How to correct your dog effectively. Home manners were terrible; stealing food, running outside, licking and jumping - all things you’d struggle with, and maybe eventually sweep under the carpet. Then one day you wake up with two adult dogs you're frustrated with, even though you love them, and you’ve have a rough time for years. Today, my dogs have the manners I'd always hoped for and never thought I'd be able to achieve. People notice how well behaved Pippa is. I've never taken her for a walk without someone stopping me and telling me what a well behaved dog she is. I can truly say that working with Kim has changed my life! I called her to help with making our new puppy a complete family member, but I walked away with so much more. Kim worked with our kids to include them in the training process. She made us realize we're all part of the same team, and we all had to have the same level of commitment and guidelines…she trained us not Lucy Lu! Weekly you will receive lessons to guide your success. Each lesson is integrated with the previous lessons so you seamlessly apply training exercises week after week to make an overall impact on your dog’s behavior. Videos will demonstrate the major concepts so you can watch exactly how to do the exercises. Downloadable action sheets will provide easy-to-reference guides for you to follow. Checklists will remind you of your goals each week. Private Facebook group for connection and community support. An option for personalized feedback to address specific concerns or questions about your dog is available during a monthly webinar. >> A four-week supplement focusing specifically on teaching your dog to come when you call him. >> Tips from a professional pet photographer on how to take good photos of your dog. Ready to experience a relationship with your pet you've always dreamed of? Own a dog you are proud of, not embarrassed by. Enjoy a dog free from jumping, barking, pulling, and biting. Receive access to simple, innovative, cutting edge technologies. 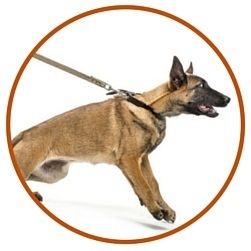 Learn a proven, systematic approach to training your dog. Gain the ability to confidently communicate with your dog. leading to a happier, healthier life. Get professional recommendations on food, services, and products based on your dog’s individual needs. Get Instant Access to Manners Matter! Because we talk about providing peace of mind at home with your dog, it’s important to offer peace of mind for you online with Manners Matter. If you are not impressed with the information you learn in the first 2 modules of the program, we will refund your purchase- no questions asked. 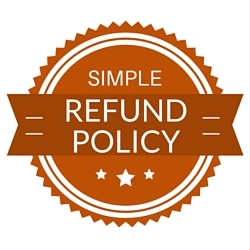 Our refund policy will be available up to 10 days of purchase date. What kind of price tag can you put on peace of mind? You could spend hundreds or thousands of dollars on traditional dog training lessons and not achieve the results you will when you teach your dog to make good choices. The freedom you will experience by not having to micro-manage your dog all day long will be long-lasting. Every client we have worked with has been satisfied and over 90% of our existing business is by referrals from existing clients, and veterinarians. 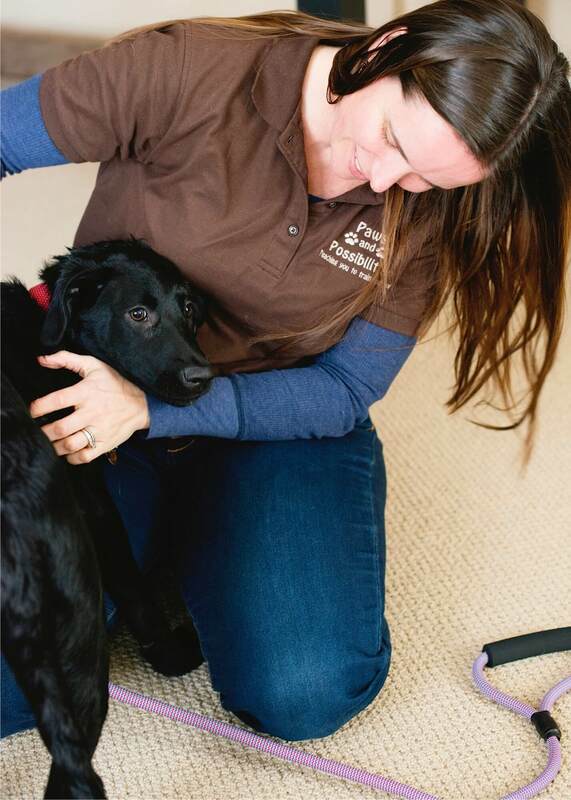 You could spend $1000 to work with a trainer in person teaching your dog to be obedient. And you’ll spend all day telling your dog what to do. You still may not create the relationship you were hoping for when you decided to get a dog. You could spend as little as $120 to take a group class in a big box store. Many of our clients come to us after those classes have failed to solve their behavior problems, and the clients are frustrated about having wasted their money. They end up spending closer to $400 to finally solve their problems after they were hoping to get a quick, cheap solution. If you own a dog, do yourself a favor and buy this program right now. **What Are Master Classes? Master Classes are targeted online classes designed to give specific answers to specific issues that come up during training. "I just want everyone to own a well-mannered dog they can be proud of, not embarrassed by." Kim made such a difference for our family. Daisy's behavior improved a lot. She used to jump on my friends but now they are not scared of her anymore! Thanks, Kim! When the pups were born they were afraid of nothing. Then, as Zac grew, he developed noise anxiety to the point where he was afraid of everything. He would shake uncontrollably from things like thunder, fireworks and other loud sounds such as television, music, our boat engine, car horns, motorcycles, cars driving past, the vacuum and other normal sounds. I knew he was miserable, however I wasn't sure medication was the best approach. 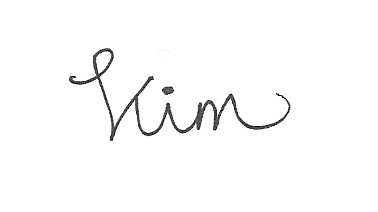 Our vet encouraged me to reach out to Kim for help. I was skeptical, but gave it a try. After our first session with Kim, it was clear I was part of the problem. Kim taught both Zac and me how to behave with each other before, during and after a frightening noise. My reaction had not been helping the situation…after some tough love and a little practice, he’s now a new puppy! He’s much happier, more confident, self-assured and so are we. Even Zoe has learned a few new tricks along the way. Thank you Kim! We love you! How much time will the training take out of my day? I don’t have extra time to spend training my dog. Our training program is designed to create a shift in how you think about training. You’ll no longer have to set aside specific time during your day to do long, intensive training sessions. Our training plan is easily integrated into your day. We teach you about training as a lifestyle, not something you do sometimes- and not at other times! It’s important for your dog you learn to integrate a training mindset seamlessly into your daily actions. Additional time you need to set aside for training is optional and only necessary if you want to spend time training you dogs tricks, which is always fun for you and your dog! This seems like a big investment for dog training. Is it worth it? How can you not invest in training your dog? You’ll spend more money with an in-person obedience training program and get less-effective results. Teaching your dog to have good manners will make the biggest impact on what it is like to live with you dog. It’s worth every penny. Can an online dog training program work? Doesn’t the trainer need to see my dog? I don't need to see your dog or ever meet you in person to teach you the tools you'll need to successfully train your dog to be calm and well-mannered. The lessons you will learn are simple to implement and will transform your dog’s behavior. You won’t believe how easy it'll be to change your dog’s behavior! What if I don’t understand what to do with my dog to change his behavior? How can I get extra support? First of all, the lessons within this program are easy. You'll understand what to do with your dog. If you feel like you need extra support, we're always here for you. We offer a optional webinar once a month for you to ask specific questions about your dog. If you need further support, we also offer private sessions by Skype. I need to see the techniques you are teaching demonstrated with my dog, don’t I? You'll benefit from watching the videos included with this program. The key concepts inside Manners Matter are illustrated and explained for you in a short, easy to understand videos. My dog needs to be around other dogs and we won’t get this in this online program. It is important to socialize your dog and we discuss how to do that inside Manners Matter. Your dog will find it easier to learn new concepts in a less distracting environment, like your home. Once your dog knows the new concepts, you will be able to bring him out around other dogs and implement them easier than if you were trying to teach him the new concepts while he is distracted by other dogs. I might put off the training program and not follow up on it. Yes, that's correct. You might put off the training and not follow up on it. I can’t make you do the work! Once your dog does something wrong you'll be instantly reminded to revisit the program. Once you purchase it, you will always have access to the content and you may review it at any time. An online dog training program can’t be tailored specifically to my dog. What if it doesn’t work for my dog? The system you learn in Manners Matter works. 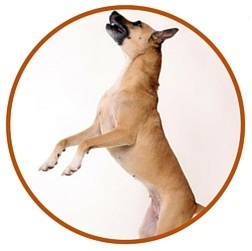 Your dog will benefit from learning the exercises we teach you and it will work for your dog, just like it has worked for hundreds of other dogs. Every dog is unique and one dog may benefit more from one exercise and another dog may benefit more from a different exercise. When you go through all the exercises in Manners Matter, your dog will be calmer and learn to make good choices. Since a trainer won’t be able to see me working with my dog, how will I know if I am doing something wrong? Your dog will tell you if you are doing something wrong (and when you are doing something right!). The individual lessons in Manners Matter are simple enough that you will not be confused. The lessons are delivered in a way that will make sense to you. If you ever have any questions, our support team is here to help. Is there a good support system? Someone I can talk to directly? Will I feel like I’m on my own without any help? We are here to help and support you. We have optional webinars once a month for you to ask specific questions that will be answered by a trainer. Our goal is to help you have a better relationship with your dog, and we’ll always be here to support that process. Training was a lot of little things and ideas that made complete sense when she told me, yet I would never have thought of them on my own. I now have a puppy that is a pleasure to be around and will give me lots love and companionship for years to come. With your training, we have learned how to reinforce the behaviors we like and stop inappropriate behaviors. You helped turn Ellie into a trusting and VERY happy, lovable dog. At first, she would very reluctantly go into her crate when we had to leave the house. Now, when she sees us getting our jackets on, she goes in all by herself! Her anxiety has diminished greatly. We truly value the guidance you gave us are very happy to have such a well-behaved rescue dog. We just finished our training program and what a wonderful experience it has been! The difference in our dogs is unbelievable! I contacted you at the recommendation of the Potomac Rescue, when our neighbors began to complain about Harry's constant barking. No matter what we did, nothing seemed to work. Harry would bark if the phone rang, if a dog barked on tv, when the heat kicked on- just about any little noise would send him into a frenzy. He would bark non-stop when he was outside. He would just bark to bark. We were at our wit's end and needed help. After our first week of training, the barking decreased about 80%. We were amazed that what we learned actually worked! By the third week, Harry was a totally different dog! 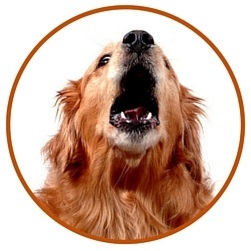 No more frenzied barking! Only people who live with "barkers" can truly understand how stressful it is. Not only did you teach us how to get the barking under control, you taught us how to manage our dogs better. Now the neighbors stop by and wonder what happened to Harry, as they never hear him barking. I'm only sorry it took me so long to sign up! and I or someone from my team will reply within 24 hours. What are you waiting for? Your dog will thank you for it! Know someone who could benefit from Manners Matter? Share It Now!